Carried out by researchers at Johns Hopkins University, the study set out to look at which potentially treatable factors are associated with interstitial lung disease (ILD), a relatively rare group of disorders characterized by lung scarring and inflammation. The disease may lead to progressive, disabling and irreversible lung damage, and once diagnosed most people do not live longer than five years. Although many cases are caused by environmental toxins such as asbestos or coal dust, ILD can also be caused by autoimmune disorders, infections, medication side effects, and even from unknown causes. Blood samples were taken for each participant to measure vitamin D levels, with those with vitamin D levels of less than 20 nanograms per milliliter — which was about 30 percent of participants — considered to be vitamin D deficient. 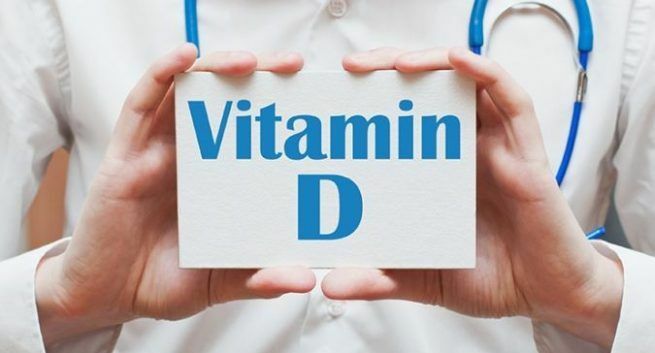 Those with vitamin D levels of 20-30 nanograms per milliliter were considered to have an “intermediate” but not optimal level of vitamin D, while those with 30 nanograms per milliliter or more were considered to have met recommended levels. Each participant was also given a heart CT scan so researchers could also assess the lungs at the initial visit, and ten years into the study 2,668 participants received full-lung CT scans to look for presence of scar tissue or other abnormalities. The researchers found that the participants who were considered to be vitamin D-deficient had a larger volume of bright spots in the lung, which suggests damaged lung tissue, compared with those with adequate vitamin D levels. The data from the full-lung scans also showed that those with deficient or intermediate vitamin D levels were 50 to 60 percent more likely to have abnormalities on their full lung scans, which suggests early signs of interstitial lung disease, compared with those with optimal vitamin D levels. Again, these associations were still seen after the researchers had adjusted for other cardiovascular and inflammatory risk factors, such as high blood pressure, high cholesterol, and diabetes. The researchers caution that their results can’t prove a cause and effect, and further studies are now needed to see if treating vitamin D deficiency, for example with supplements or sunlight exposure, could potentially prevent or slow the progression of the currently untreatable and incurable disorder. Vitamin D levels can be boosted by spending 15 minutes a day in sunlight or by including vitamin-D rich foods in the diet, such as fatty fish, eggs, fortified dairy products, calf’s liver, and portobello mushrooms.